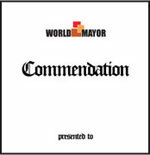 8 January 2013: City Mayors invited those who participated in World Mayor 2012 to put questions to Perth Mayor Lisa Scaffidi, winner of the 2012 World Mayor Commendation. From the questions received, a representative selection was forwarded to the mayor. She replies below in great detail, with candour and thoughtfulness. Question: Perth City is currently undergoing a major change and you have been a major supporter of this change. Do you think this change will continue into the future? And what is your vision for Perth in the next five to ten years? Lisa Scaffidi replies: Perth’s time has truly arrived and we are experiencing what I believe will be a period of well-planned and sustainable growth that is delivering a more contemporary and sophisticated, energetic city we can all be proud of for decades to come. I believe this period will be seen as one of great evolution and when we look back, we will see this time as being a significant tipping point. In fact I have already termed it our own “Belle Epoque”! It will be seen as the period when we shrugged off our old labels and focused on our “raison d'être” and our progressive city brand for the 21st century. Projects we had only ever previously spoken about such as the Link project, which we had actually been talking about for over 100 years, and then in the case of the Waterfront for at least 30 years have now been committed to financially and commenced within the past 4 years. Now they are well underway, we must focus hard on delivering them on time and on budget as much as possible, in a busy marketplace. Through these projects the capacity of our city has been enabled to grow. Elizabeth Quay is a redevelopment of some 10 hectares. When completed, the area will provide residential hotel and serviced apartments, office and retail space to benefit the anticipated visitation of some 4 million people per annum. The Link will reconnect our central city, which was first divided in 1881 by the Fremantle-Perth-Guildford rail lines. When the gold rush hit in the 1890s, this divide was increased further as the central railway precinct grew, perpetuated by the huge demand for passenger and freight transportation. This precinct renewal will yield 13.5 hectares of premium city (mixed use) space and of that 4.4 hectares will remain as public open space. “As the old distinctions of city and suburb are blurring” (Richard Florida) mixed use areas are highly sought after and the attitude of our people is uplifted as they see a new city emerging which gives them confidence about our collective future. The many features infrastructure they have admired from other world cities is now available at home. With such smart growth and increased critical mass the provision of much needed infrastructure in turn stimulates further development and has a multiplier effect on jobs and other small business opportunities. While a city is always evolving the amount of growth we are experiencing right now has been comparatively monumental, it’s therefore fair to say I don’t think it will continue at that same intensity we’ve observed in the past 5 years into the future. This is why we must maximize on the opportunities right now as this is setting us up for the future. While over time we will continue to see incremental population growth and the changing needs of citizens, it is right now we are creating the framework from which all else will be enabled. Question: As a 9th generation Perth citizen, I and my extended family have a sincere love for were this city has come from, is currently at in its development and the future of it. You clearly love our city as a mayor but what is it that drives you to be such a great representative of change and progress? Lisa Scaffidi replies: Yes indeed I love my city and my State and always have done. My parents were born here and so as a second generation Western Australian who has had the great fortune to travel (mainly for work and pleasure) during my lifetime I have been able to compare and make my own observations and assessments about what makes cities work. I particularly appreciate the great impact of culture on lifestyle and community. I worked hard to become the Lord Mayor and to represent the people of Perth due to my emotional connection and my core belief that I could take our community ‘one step further’. As a publicly elected representative I must make the most of every day of my term to ensure I achieve as much of my vision for our city as I can during that tenure. While always being optimistic in tone; authentic without overpromising I have strived hard each day to show Perth’s capability and direction through upholding and inspiring. I see this role as one of responsibility to provide our citizens with knowledge and communications that enhance their safety and make them feel well informed about what is happening so they understand and feel comfortable with proposed ‘changes’. In understanding these issues they can then appreciate the big picture of “why”. In bringing a vision to reality we are building on our strengths but also looking to diversify our economy in a way that is going to sustain us into the future. In that regard I have a strong desire to see us become more involved in areas of science such as medical research and other technologies and lessen our long-term reliance on mining. Question: You believe that Perth has the potential to become an international powerhouse. What challenges and changes will the city and its residents have to accept to achieve that goal? Lisa Scaffidi replies: I believe Perth is already an international powerhouse on a strong ascendancy. In reality, Perth is increasingly recognized as a future world city. We are recognized for good strategic planning nationally with clear targets. We are achieving complex changes in the face of unprecedented and exponential population growth and yet we are still not even 200 years old so by many city standards  relatively young. As the western gateway to the continent of Australia and as a city that is in the same longitudinal time zone as 61 per cent of the world’s population, we also look west to an area of growth in India and the Middle East. We don’t have to look far to appreciate that despite the distances we are in a unique position to influence and collaborate with these significant regions and concurrently assist them in achieving their goals and dreams. I believe that through strategic international partnerships we can drive mutually beneficial outcome-based solutions for our world. Globalization is linking changes and if smart we can rationally and co-operatively distinguish our key strengths. Already, we have a great international presence in our State of major international corporations, which delivers awareness of our region further than we as locals may always appreciate on a daily basis. Question: In order to become a world-class city, Perth must develop more cultural offerings. How do you plan to develop the cultural side of the city? Lisa Scaffidi replies: This is something I am acutely aware of, as a city cannot be only about built- form and infrastructure to enable commercial activity. It is commercial activity that exposes us to the attitudes and cultures that are influencing the world. Every city has its unique cultural offerings which should be cherished and in providing them the decision makers of today must be in tune with community desires and focus hard on providing these items in a timely manner. Already in my time as Mayor we have been keenly focused on all aspects of arts from infrastructure through to financial commitment and increased education and awareness among our citizens. We opened in 2011 the State Theatre and have seen upgrades to other existing facilities. The city is also currently constructing a AUS$54+ million public library in a precinct that will bring a renewed focus on the original site of our city’s founding. We have increased the amount of public art in and around the city while focusing on our annual financial commitment to various world class festivals, exhibitions, performances and concerts featuring a diverse range of art forms which take place all year round. Perth is home to our State Ballet and Opera companies and our highly acclaimed Symphony Orchestra as well as other major arts companies and cultural institutions. The City owned Perth Concert Hall is seen as an acoustic gem from all who have performed there. Also recently we welcomed the opening of the new Perth Arena (15,000 seat capacity). The proposal for future visions of facilities such as the Heirrison Island Sculpture Park and our new Stadium are also Council endorsed and intended for the future. Question: As one of, if not the most successful, forward thinking Mayor in Perth's history, when your term of office comes to an end, will you consider extending your professional career into politics? Lisa Scaffidi replies: I am well on the record for saying I do not intend to enter State or Federal politics. I don’t think I will change my mind. The Lord Mayor role has been earned through my demonstrated actions and commitments over seven years as a Councillor and now over five years as Lord Mayor. My second (current) term is about consolidating my vision and in my view is actually above politics. I have proven I can work with anyone across Local Government, State or Federal Governments and it is my personal opinion that partisan politics has no place in the role of Lord Mayor of a capital city. It is our priority to collect, collaborate and create results for our capital city. My second term is not some lap of honour but a case of finishing what I have started. None of it is really about me  it is about the City I love and live in. I am inspired daily by the people I meet and I am overwhelmed by the many ideas I think of, so I am in no doubt my career will not end when my term of office ends, but that another opportunity to channel my energies and experiences into something that inspires me just as much will assume the space that now being Lord Mayor absorbs fully. Question: Australia’s federal politics are currently in a parlous state. Even though you have stated numerous times that you did not wish to be involved in politics, you must have thought about the state of the nation. What would your priorities for Australia be if you were in national politics? Lisa Scaffidi replies: Yes I have thought a lot about the state of our State and Nation in the ever-changing world we find ourselves in. I would like to see greater dignity be brought back to Australian politics. At the same time I would like to see our problems seen as challenges and a realization that we must stop acting as though we all have a sense of entitlement and bring back core values for each and every citizen to strive to achieve. Australia is a top-20 world economy on a huge continental land mass with a relatively small population. This is a fundamental point we must not forget in an ever increasingly competitive world. Question: I would like to know about your earlier leadership roles or other involvements, which, you feel, have led to your current position as Lord Mayor. Lisa Scaffidi replies: This is a great question as I truly believe it is my collective past experiences that have enabled me to become and be the type of person and leader I am today. I often reflect back and realize that various experiences and many incredible opportunities unknowingly shaped me and have led me to the point where I could even consider and then actually run for the position of Lord Mayor. While I never originally planned this career I do believe my past roles of marketing and people management positions have led to me being able to be at a point where I could contest the elections and then fulfill the duties of Office. Past experiences in business (internationally and nationally) and tourism roles certainly enabled me to develop the broad understanding and management skills and I have as most people know a more recent and strong background (and passion) in national and international economic development. Question: You have done more than any other mayor in the past to bring Perth into the 21st Century. How difficult is it to reconcile the conflicting interests of the various pro- and anti-development groups, and how difficult is it to access investment capital in projects, which are for the benefit of all Western Australians and which can't possibly be funded by local ratepayers? Lisa Scaffidi replies: It is a constant challenge but we are not chartering unknown waters. By comparison (globally) our city is young and so we can learn from those cities that have gone before us and study their successes and hopefully avoid mistakes. In saying that however it is critical to consider local needs and to create a sense of pride and educate people to understand why the changes proposed are to their benefit ultimately even though they may not always agree at the time. It does take courage to proceed when public opinion can be pushing against you but provided that you hang on to your integrity, remain accessible, in touch and communicate clearly over time people should have faith in your proven honesty and continual community engagement. I am a firm believer in Western Australia’s need to globally engage to attract the smart type of investment and to leverage more economic benefits for our citizens than we ever could from just a local (2.3 million) or only national (24 million) market. Some, early on in my term criticized my international focus but now accept and see the proven results of it coming to fruition particularly on the education and energy fronts. Through it we are navigating a sustainable path that will take us on a journey that will enable us to see legacy industries transition into 21st century models that make us a more innovative and knowledge driven economy. Question: You are known to be a supporter of the State Government’s Elizabeth Quay waterfront development, which is currently underway in Perth. Please explain how you could justify the destruction of 100-year old heritage-listed Moreton Bay fig trees to make way for this development. Lisa Scaffidi replies: The Elizabeth Quay development (our new Waterfront) has been proposed since the early 80’s. The current vision now well underway construction-wise has been very carefully considered, widely discussed publicly and consulted on by a number of relevant authorities and leading professionals. While it was undeniably sad to see the removal of 60 trees, 13 of which were in very poor health, about 18 trees would have been original “avenue plantings” therefore around the 100 + age bracket. These were predominantly along the Barrack Street and William Street boundaries. Of the remaining trees maybe 60 per cent would be in 20 - 80 age bracket with the remainder in the 2 -20 year bracket. There are always the tough decisions to be made when facing a key issue of major precinct renewal and city revitalization. While it is hard to “justify” the felling of any old trees at any time, it is necessary to weigh up the value of the land and the proposed economic development opportunities that will be delivered to the city through the completion of this $2.6 billion project. One of the key components of this project is that it will reconnect the city to the iconic Swan River and further enhance Perth’s reputation as one of the most liveable cities in the world that also has an enviable location. Elizabeth Quay is the centrepiece of a bold city plan to revitalize central Perth. Elizabeth Quay will provide new inner-city residential options as well as much-needed hotel and short-stay accommodation, and significant additional commercial space. It is one of several major urban developments being undertaken that will help to further position Perth as contemporary, international city. May I add in closing, we need to also remind ourselves every day many trees continue to be felled as developers create more urban sprawl through the development of new land sub-divisions to the north and south of our outer metro area but little is said of that. We should be focused on more sustainable development through more urban infill and density to mitigate further urban sprawl and save our bush land in some parts of our city forever. Why is that not a more prioritized topic of discussion? Question: There are many of us in Perth that are very disturbed about the plan to build Elizabeth Quay in Perth on the Esplanade which was given to the people of Perth for perpetual recreational use. As the Lord Mayor of Perth how could you approve a project that involves cutting Riverside Drive and diverting 40,000 cars per day, which will cause total traffic chaos and totally disrupt the businesses and retail areas of our beautiful city? Lisa Scaffidi replies: It is true that when the Esplanade Reserve was first reclaimed from the river back in the early 1900s that the citizens of the day were given an area that was described in the newspapers of the time as a “space that the citizens could be proud to have in the front yard of their city  a place where they could play cricket on a hot summers day or camp out on a hot summers night” (from A City and its Setting  George Seddon & David Ravine (1986). This was true for the time, however a 100 years on this area was proving to be a disconnect to our iconic Swan River and not well utilized daily. We realized the land could be harnessed and put to a far better use through a Waterfront Development. It will deliver much needed capacity to our city as well as more popular 21st century usage such as the provision of waterside activities, boat moorings, waterside dining and meandering cycle and walkways for recreation purposes. This public realm will be a destination for everyone to enjoy. Elizabeth Quay will be one of the most publicly accessible parts of our metropolitan area with connections to bus, train, CAT buses (Central Area Transportation), ferry, cycle and pedestrian networks. Planning for the project has prioritized public transport, walking and cycling where possible. It is inevitable that the project will change the way traffic moves around the city. As part of Elizabeth Quay, a section of Riverside Drive will be diverted in mid-2013 and will be redesigned to allow traffic to flow into Barrack and William Streets in favour of lower speed, shared-use zones that are safer for cyclists and pedestrians and are generally more comfortable for city workers, residents and tourists. We are making the central city more of a destination and less of a thoroughfare. The decision to divert a section of Riverside Drive (between Barrack and William Streets) will reconnect the city with the river and transform the area from a freeway access point to a more urbane city environment. Detailed traffic modeling has been extensive and informed this decision. Other changes to the road network will be made to improve the connectivity of peripheral roads, including a new city bound connection from Point Lewis Rotary (under the Narrows Bridge) directly into William Street. Into the future there should not be the chaos that mostly those against the Elizabeth Quay project like to suggest. As many of us can see the project is delivering a much needed cross axis of development to our city that was lacking. Perth has a very strong east-west alignment and the Quay will encourage a focus in a North  South orientation through the Barrack & William Street alignments of our city that will flow back into the Link project. Question: What effective alternative arrangements do you have for dealing with the traffic chaos likely to be caused by the Elizabeth Quay development, beyond talk about better public transport systems and repurposing the emergency lane of the Northbridge Tunnel which would seem only to address the current needs of population growth, not the effective loss of Riverside Drive as one of only two major East/West arteries across Perth? Lisa Scaffidi replies: Smart traffic planning is already occurring as we speak (see previous answer) but will be delivered in phases. I am of the view some people are complaining a lot about “traffic chaos” but individually many are not trying to help or consider ways they may also be a part of the solution. For starters, just look at the car either side of yours on the freeways in the mornings or the evenings. How many of them have only one person in? The answer is nearly all of them! We need to promote car pooling and share our daily commutes with neighbours or pick days when we could use public transport to assist in reducing the congestion while new longer term solutions are created in the face of such unprecedented population growth. Many more firms should be encouraging varied working hours (known as flexi-time) to enable more people to avoid peak travel times. In the longer term we need to consider tougher questions like whether we should hike parking charges as a further disincentive to people to drive and park all day. These are the tougher questions that over time should be considered post the introduction of more public transport. To say Riverside Drive is one of only two east-west arteries is incorrect. There is the Graham Farmer Tunnel as well as all the streets between Riverside Drive from St Georges Tce through to Wellington and Roe Streets and while we want people to not use the city as a thoroughfare to a non-city destination what we are about is encouraging people to break from old traditional routes and think and plan their intended travel more purposefully than perhaps they have done in the past. Question: On of your competitors in the World Mayor contest is Les Brown, Mayor of Greater Auckland, a ‘super city’ amalgamated in 2010. Would you be in favour of creating an amalgamated Greater Perth? Lisa Scaffidi replies: I am very supportive of the need to reconsider our Local Government boundaries in the 21st century. Please note I specifically say reconsider boundaries rather than just amalgamation. To amalgamate implies to join pre-existing areas together. I think we need to think from the capital city outwards and consider what we want our capital city to contain and be initially. For example should it be a radius from say our GPO (General Post Office) of some 3 or 5 kms? Or should it be considerate of natural boundaries such as the river or key roads such as Thomas Street? Should it contain key infrastructure such as Kings Park, the University of WA and the proposed new Stadium? The recently released Robson report highlighted that it seeks to improve the governance of metropolitan Perth but also said it is important that the best aspects of the existing system are retained as much as possible. While Perth does not seem to be in a dismal crisis situation, there is still a sense of urgency requiring the community to consider its future now. There are many pressures on local government, including the challenges of growth and increased service expectations. With metropolitan Perth’s population expected to reach 2.3 million by 2026, Perth’s governance system needs to be revamped to better provide for the expanding population as it heads to 3.5 million by 2050. The challenge is to consider what kind of local government system and structure would be ideally placed to meet the demands of Perth into the future. The first priority is not to focus on how many local governments there should be, but on how to best deliver effective local government services to the community. It is about greater efficiencies of scale and the reduction of duplicated services. In my view and this thought is shared by the Robson findings the right foundations will not be achieved by minor boundary amendments. This has been the approach in the past, and the experience has been that such changes cost money, cause acrimony, fails to achieve significant outcomes, and direct council resources away from core issues. This is not genuine reform. It is natural for individual local governments to have a vested interest in maintaining their existence, and most of the submissions that the Panel has received from local governments, regardless of present size, have essentially provided reasons for why they should continue to exist. So the decision on change, while considered in light of community feedback, needs to be made in an objective manner. There is a particular advantage in having this independent assessment undertaken externally to the sector. Question: You are doing great in Perth but being the Lord Mayor of our city is a relatively easy job. Do you think you could govern a city like Lagos or Karachi? Lisa Scaffidi replies: If I make the job look easier than it really is some days, I am pleased to read that! So thanks! It certainly is challenging and demanding (physically and mentally) but the pressure I may be under should never be shown to our citizens who should rightly expect someone to handle the varying issues and occasional pressures in this high level Civic position with grace and professionalism. I do unashamedly work long hours each day and usually attend events 6-7 days a week. There is still the administration aspects to attend to, the many speeches I am invited to give I prefer to write most of them myself. Then there is the copious amount of reading and considerations across a number of key areas to make and remain on top of. On a daily basis to keep in touch with key issues I find myself in many meetings across the city and even interstate or overseas, with a variety of stakeholders and professionals. So in answer as to whether I think I could govern a city like Lagos or Karachi my reply would be if by some bizarre set of circumstances I was able to do a job swap with the Mayors of those cities I would apply myself in the same way I have to this role - with energy and commitment. The various policies and laws would see me act in a compliant way and through interaction with the citizens I would hopefully charter a sustainable course for the betterment of all. No doubt such a comparison however highlights the differences that exist between the many cities in our world today but please don’t think for one moment that any job is without is own challenges! As they say it is all relative! And in closing if you think it’s relatively easy I hope you are planning to run yourself at some future date! Question: What do you plan to do to cut crime, particularly violence against women, in Perth? Are there any lessons we could learn from other cities? Lisa Scaffidi replies: We work closely with our State Government and Police Service to prevent or deal with crime. We work from a planning stage to focus on safety and amenity in city design that hopefully reduces the likelihood of crime and enhances safety overall. We have CCTV presence and a commitment to more over time. I am not aware that violence against women is inordinately high right now? However we are keen to be active in lessening all crime and focusing on the safety and liveability of our city for all citizens in the face of unprecedented population growth. There are issues that generate from this of a high cost of living, concerns about the affordability and availability of housing and in some demographics we observe increased levels of alcoholic consumption  particularly noticeable among our youth and some FIFO (Fly-in/ Fly-out) workers who have long shifts and earn substantial salaries and then return to spend time off in the city and “live large”. We need to encourage greater consideration for all and engender more respect in society at all times. Through this I have another passion in areas of youth leadership and life skills to educate our youth about core values from a young age. Like any growing city we have to keep focusing on this vitally important issue. Question: Why are you the Ambassador for the Gynaecological Awareness Information Network (GAIN)? What do you hope to achieve through this role? Lisa Scaffidi replies: In the role of Lord Mayor I am invited to be a Patron, Ambassador, Vice- Patron or Champion of a number of worthy causes. As a person who has been fortunate to have experienced good health my whole life I feel a responsibility to assist where possible. As the first female Lord Mayor the profile I can bring to especially female issues is obvious. Women need to feel comfortable about being able to discuss their female health issues and GAIN encourages women to be at ease and freely enabled to speak in confidence and with good advice to their health professionals. I am a strong supporter and friend of GAINS Founder Ms Kath Mazzella who has endured the trauma of being diagnosed with, and treated extensively, for a gynaecological cancer. Kath established GAIN Inc in Perth, Western Australia, in February 2001, when she sought a support network for women who had endured the similar trauma of a gynaecological cancer, and found none. Many women afflicted with gynaecological conditions feel alienated and isolated. They often suffer in silence, afraid of what they don’t know, and lack the courage to share their anguish. When I was invited to consider this Ambassadorial role I realized my personality style could work in this role as I enjoy putting people at ease I like to let them know its ok to confidentially talk and through doing so much of their anguish can be lessened. I enjoy making people feel confident and inspired to improve themselves and deal with their personal problems. Question: Do you believe that two of your major big picture strategies as Lord Mayor to focus Perth as a hub for education in the region and as a leader in the energy resources fields are beginning to show positive outcomes for the City? Lisa Scaffidi replies: Not only do I believe it we can prove this each and every day with facts and figures that speak for themselves! Re  Education  Perth has been announced in the list of the Top 25 Student Cities of the World by QS. www.topuniversities.com during 2012. Based on a complex set of measures taken from public information, surveys and data submitted as part of the QS World University Rankings, the results provide a new way of comparing the best cities around the world in which to be a student. Perth’s ranking at 25 out of the top 50 from a total of some 300 cities is impressive. Across our 5 world class universities and other tertiary institutions in Perth graduating students receive globally recognized qualifications. Perth has Australia’s best international student diversity (according to Australia Education International student visa data) and the International students in Perth come from 140 different countries (Asia, Europe, South America, Africa and the Middle East) ensuring that the learning experience is enriched by the cultural diversity on campus. International students receive a West Australian government-sponsored 40 per cent discount on all public transport, saving them over $780 dollars a year. Other cities such as Melbourne and Sydney do not provide this travel concession to international students. In addition bus services, in the CBD area of Perth city, Fremantle and Joondalup are free for everyone. Perth has the best employment prospects for international students  both for part-time work and for full-time work after graduation, should they choose to stay on. West Australia's unemployment rate remains much lower than the national average (4.3 per cent for WA compared to 5.2 per cent for the rest of the country  according to information published in WA Business News at 9 February 2012). With 10.3 per cent of the population, Western Australia has 23 per cent of the job vacancies in Australia (ANZ Job vacancies  December 2011) and West Australians are also amongst the highest paid in the country with full-time earnings 16.2 per cent more than the national average (WA Business News at 9 February 2012). Re  Energy Resources - the strong mining and resources sector contributes approximately $2.8 billion annually to the Perth economy. As Western Australia drives the nation’s economy delivering increased local content benefits during this prosperous period is critical and will certainly secure lasting benefits to the city and state. Perth has a key role to play with 35 per cent of companies listed on the Australian stock exchange being Western Australian, many have a head office in Perth and are directly involved in the mining industry in the State. Additionally many key multinational corporations are setting up key regional headquarters here based on project joint-ventures and commitments. Western Australia has strong linkages to the Asia Pacific area and Perth is fast becoming the leading resources industry city in the region. Since July 2011, $18 billion new local contracts have been awarded  which translates to more than 60,000 jobs for the state. In the June quarter of this year, the mining industry employed 114,800 people directly, which represented a 30 per cent increase on the 2011 figures. And currently there is more than $180 billion projects either committed or under consideration for the next few years  translating to more than 50,000 construction jobs and more than 15,000 permanent jobs. We want these contracts and jobs for the local workers. Employing, utilizing and engaging Western Australians is critical. It also raised awareness within the community of the critical importance of local content and its benefits for the workers today and for the trainees and apprentices who are our future workforce. In our 2012/13 state budget, $99.1 million was committed to ensuring that trainee and apprentice numbers are sustained during the current period. Ensuring all Western Australians have access to high quality training, no matter their age or background will ensure that the skill benefits of today last long into the future. For younger apprentices and trainees, they will become the next generation of mechanics, manufacturers, engineers and designers. Major companies who are leading multi-billion dollar projects clearly understand that their commitment to local content needs to be unwavering. For example, Chevron is one of the key global resources companies to commit to delivering strong local content outcomes for Western Australia. Chevron leading the $29 billion Wheatstone gas project in the Pilbara will strive to source the entire 5,000 strong workforce for this project from within Australia. Woodside Petroleum also remains committed to delivering strong local content outcomes. In the construction phase of the Pluto LNG project more than 15,000 Australian jobs were generated and to date Pluto has delivered more than $7.6 billion in local content. As we all know, mining booms and growth periods do not last forever. So, to ensure Western Australia continues to grow beyond the so termed “boom” periods we need to also focus on how we diversify the economy, support local businesses and create opportunities to continually skill our community. I am quite confident that Western Australia is taking the necessary steps to guarantee that the benefits from the growth we are experiencing will flow to the entire community and be felt long into the future. In summary in 2010-11 LNG and crude oil were the second and third most valuable commodities in the state and over the past ten years, the value of Western Australia’s petroleum sales has increased on average by almost ten per cent each year. Lead by Western Australia, in 2010, Australia was fourth in World LNG rankings and Western Australia’s share of the world’s LNG output accounts for 9 per cent of the world production market. On a city basis this is driving so much for us. We are welcoming a stronger presence of international firms who choose to have a presence here and are increasingly starting to recognise their presence in Perth as their headquarters in the Australasian region. In turn this is attracting other professional service firms to have a strong presence and this in turn is driving more small and localised businesses of all types who can benefit from this increased activity. This is creating demand for more restaurants, bars and other services that drives more vitality and buzz for our city. 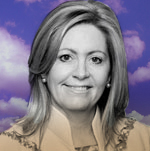 Lisa Scaffidi was first elected Lord Mayor of Perth, Western Australia, in October 2007. She defeated the outgoing Deputy Lord Mayor Michael Sutherland winning 56 per cent of the votes. She stood for re-election to a second four-year term in October 2011 and won with a margin of 25 per cent over her principal challenger, businesswoman Anne Bontempo. Leading Perth requires a broad perspective because it is the core of a conurbation of 1.6 million people and of the whole of Western Australia so the Lord Mayor, especially, has to be aware of that responsibility and opportunity. Perth City Council employs more than 500 people and though it is not directly responsible for schools or acute health care it has involvement in and impact on nearly everything. The authority sees its core responsibility as to manage the growth and development of Western Australia’s capital city. The Council staff are organised into four directorates. The Services Units directorate is responsible for most of the day-to-day high profile activity including child care, community services and libraries. The Business Unit directorate is responsible for contracts, direct public works interventions including parks and vehicle parking. The remaining elements of the council are within either the Corporate Directorate or the Planning and Development Directorate. During her first term the Council produced its 2009 four-year plan and the mayor will now oversee its 2013 successor. She is strongly promoting sustainable growth and both the city strategy and its organisational structure reflect that. In 2008-9 they hired legendary urban designers Gehl Architects to produce a Public Spaces Public Life plan, which was incorporated in to all the current strategies.